At 2pm, join us for a special talk at the Colloquy of Mobiles with fabricator Thomas McLeish. The Colloquy of Mobiles is an immersive, interactive exhibit where human-sized mobiles interact through light and sound, with each other, and with the public. This is a full-scale reproduction of the revolutionary gallery installation created in London in 1968. 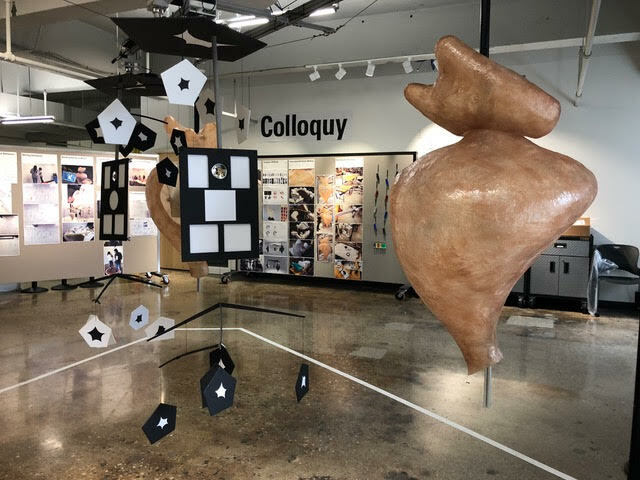 Colloquy predicted the world we live in today, with intelligent machines living among us and challenging us to stay human. The project has been undertaken by the Masters Program in Interaction Design at the College for Creative Studies.